Novurania has been bringing pioneering ideas to the water for over sixty years through innovative concepts, sophisticated styling, unsurpassed quality and proven engineering designs. With beginnings in the mid-1950’s, Novurania began as a rubber-coated fabric company, manufacturing inflatable bridges for Italian armed forces. This innovation quickly became valuable in the inflatable boat market as a high-quality alternative to traditional PVC-tubed inflatable boats. In 1989, as Novurania of America, Inc., the company built its first fiberglass hull in the USA and rapidly gained attention as a first-class producer of reliable tenders in the yachting industry. 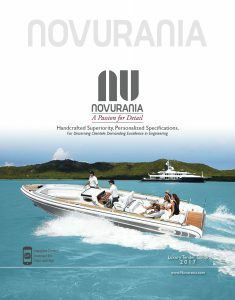 Novurania has since built its impeccable reputation by hand-building one vessel at a time to the precise specifications of highly discerning clientele. We have a passion for detail in the boats we produce and know that this is a passion appreciated by our knowledgeable and sophisticated owners. All Novurania yacht tenders will continue to be hand-built and bespoke by using high-technology processes in an exceedingly modern environment, designed to accommodate the production of multiple luxury and commercial line tenders. As a vertically integrated company, we design, manufacture, and assemble each boat individually while ensuring integration of only the highest quality materials and building processes. We continue to innovate, traveling worldwide for smart design ideas and progressive state-of-the-art equipment to keep Novurania at the leading edge of engineering and design. It is this spirit that makes Novurania the most sought-after luxury tender manufacturing company in the industry today. We do not just build a boat. 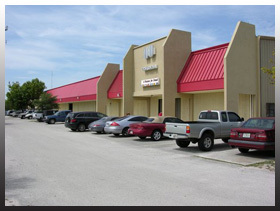 We live them, build them, test them, improve them, and we do this continuously – day after day. It is not just about building boats – it is what we love to do – and because of this, Novurania will always be the Superior Choice.